Criminal Defense Attorneys | Jimeno & Gray, P.A. There are few more shocking situations than being picked up by the police, arrested and charged. We have all heard that “you are innocent until proven guilty,” but when you are arrested it won’t feel that way. In fact, the legal system is geared to convict. You must act quickly if you hope to avoid the consequences that could be imposed upon you. The police have the full support of the endless resources of the state, including labs, investigators, experts and others. Want to level the playing field? Get in touch with our legal team at Jimeno & Gray, P.A. We believe in our ability to help those who made a mistake, broke a law, and deserve a second chance. Over the years we’ve helped many people overcome the charges against them. With our experience we know how the legal system works in Anne Arundel county. Our experience and knowledge is not the only thing we offer, we work hard for our clients. Criminal defense cases are difficult and it takes hard working lawyers to see progress. Get in touch with Greg Jimeno today to get started. Check out our free videos that will answer many questions you may have about dui/criminal defense. View the results of the criminal and DWI cases that our firm has handled over the years. 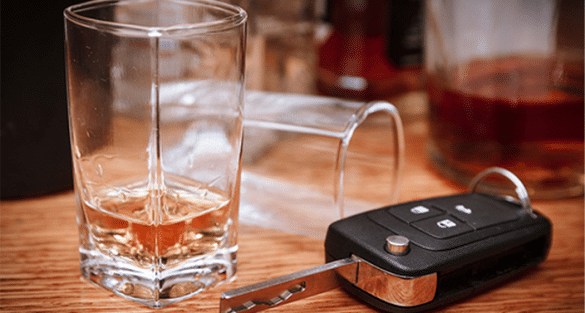 Get the answers to frequently asked questions about DUI/Criminal Defense. Process what to do to help yourself? 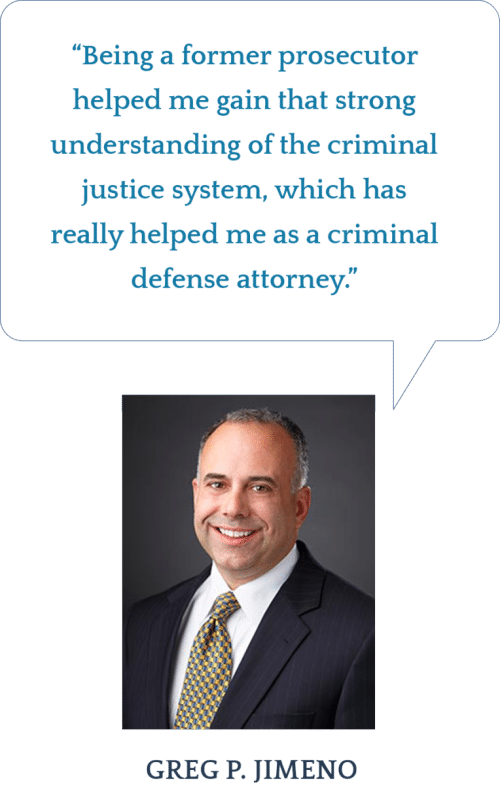 Our partners are both former prosecutors, and we have a deep understanding of the inner workings of the criminal justice system, as well as exactly what goes on in the prosecutor’s office. This insight can be of great benefit in defending against criminal charges, whether misdemeanor or felony. We are trial lawyers with extensive courtroom experience. This is the level of knowledge you will need to defend against criminal charges. We have a 10.0 Superb rating on Avvo, and we are proud of our many successes in criminal defense. You can reach us directly by phone, online or on our live chat feature. We are not here to hold your hand while you plead guilty; our job is to seek out a strategy for your defense, plan out the process, and to identify any fact, piece of evidence, statement, witness or other factor that could aid in your defense. We go the distance. Every crime has a specific level of punishment that state law allows the court to impose. Judges have a great deal of discretion in how they punish any offender. 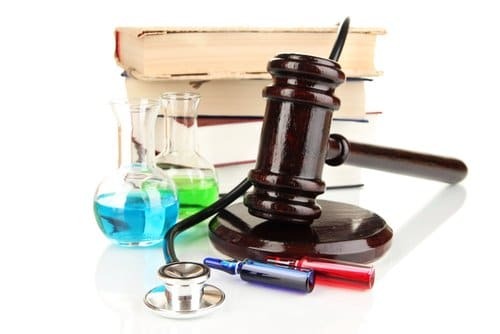 The quality, knowledge and connections of your criminal lawyer are important factors in who you select to defend you. We are long term residents of Maryland, and have worked extensively in the criminal justice system. Let us help you. All of us who work within the justice system can confirm that the quality of legal defense is one of the most important factors in a case outcome. You can’t take any chances when your freedom, reputation and criminal record are at stake – call us. How can I minimize jail time? Could my charges be dismissed? Could my case be successfully defended? Will I be able to keep my driver’s license? You have the right to remain silent and the right to an attorney. We cannot stress enough how important it is to your future freedom that you exercise those rights. Call us so we can answer your questions and concerns, and advise you of the defense strategy that could help your cause. We are on your side and we do not judge you. Our duty is to defend and help you fight for any possible advantage that could be gained. It takes long hours, hard work and an intense desire to get results to achieve the level of success we have enjoyed over our years in practicing criminal defense law. Call us now. Why You Need Jimeno & Gray, P.A. You have a choice on who you choose to defend you. What are the compelling reasons to connect with our firm? Our partners are former Maryland prosecutors with extensive experience and knowledge of the justice system. We are rated 10.0 Superb on Avvo. We believe in educating our clients and working closely with them throughout the process. Our firm provides personal, individual service to every client. We are very well-connected within the legal community. We are not your average legal team. We are aggressive, dedicated and capable of crafting a powerful defense. If you are looking for a true legal professional that will work the long hours to protect your rights, call us immediately. The earlier we get involved, the better, with regard to the final outcome. Call today so we can review the facts in your case – we are ready to fight.